Maybe you didn’t know it, but the oldest continuously operated tattoo art studio in the world is located in the Old City of Jerusalem. It is run by the Razzouk family, who has been practicing the art for over 700 years. The Razzouks are the first family of tattoo, and from Egypt to Palestine and later Jerusalem countless generations of family members have tattooed clients with enduring symbols. 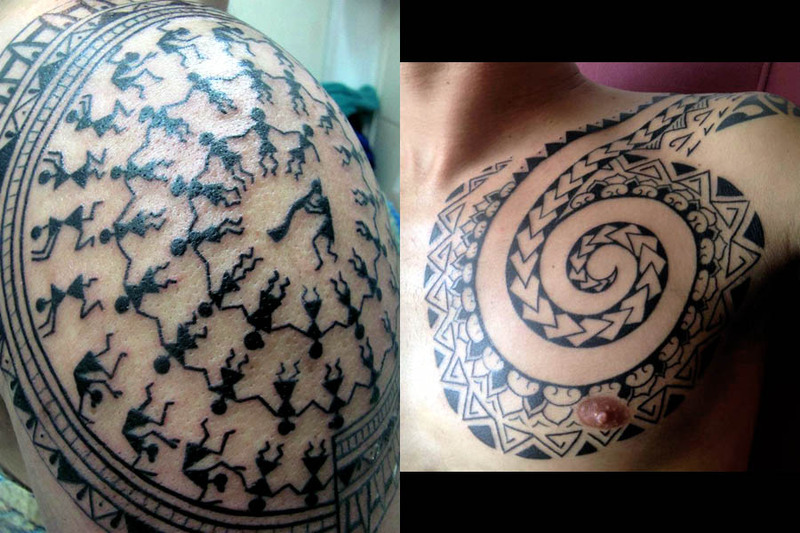 Some of these tattoos provided access to Coptic churches or marked the bodies of pilgrims journeying to the Holy Land. Early “Pilgrimage tattoos” were inspired by scenes and people from the bible, such as the Crucifixion, the Ascension, the Virgin Mary and baby Jesus, and were carved into wooden stencils that were applied to human skin before being permanently imprinted with needles. Notwithstanding this rich cultural heritage of tattoo history, only recently has tattooing in Israel gained widespread acceptance as an art form worthy of being showcased in a contemporary gallery setting. However, in just two weeks time, tattooing will be exposed like never before with the opening of “Tattoos: Tattoo Representations in Contemporary Art” on November 5, 2013. This groundbreaking show represents the 1st-ever museum exhibition to focus on tattoo culture in Israel and is set to open at Ben Gurion University in Be’er Sheva. Curated by Tel Aviv-based tattoo artist Yasmine Bergner and renowned Israeli artist and man of many letters Haim Maor, over 30 artists will exhibit their works in various media. The exhibition runs through January 14, 2014. Opening night will feature several speakers, including a lecture by the visionary Prof. Maor. Over the course of the exhibition, several more featured events will be on tap, including my own lecture on the History of Tattoo on November 12. So if you happen to be traveling in the area, do not miss your chance to witness and experience tattoo history in the making!